Equipment Group 302A Luxury (4.2" Productivity Screen in Instrument Cluster, Fixed Backlight w/Privacy Glass, Power Glass Heated Sideview Mirrors, and Rear Window Defroster), Max Trailer Tow Package (Engine Oil Cooler, Integrated Trailer Brake Controller, Pro Trailer Backup Assist, and Upgraded Front Stabilizer Bar), XLT Power Equipment Group (Power-Sliding Rear Window), XLT Sport Appearance Package (Wheels: 18" 6-Spoke Machined-Aluminum), 110V/400W Outlet, 4-Wheel Disc Brakes, 6 Speakers, ABS brakes, Air Conditioning, Alloy wheels, AM/FM radio, Auto High-beam Headlights, Brake assist, Bumpers: chrome, Compass, Delay-off headlights, Driver door bin, Driver vanity mirror, Dual front impact airbags, Dual front side impact airbags, Electronic Locking w/3.55 Axle Ratio, Electronic Stability Control, Emergency communication system, Engine Block Heater, Front anti-roll bar, Front Center Armrest w/Storage, Front fog lights, Front License Plate Bracket, Front wheel independent suspension, Fully automatic headlights, Illuminated entry, LED Sideview Mirror Spotlights, Low tire pressure warning, Occupant sensing airbag, Outside temperature display, Overhead airbag, Panic alarm, Passenger door bin, Passenger vanity mirror, Power door mirrors, Power steering, Power windows, Radio data system, Radio: AM/FM Stereo w/6 Speakers, Rear step bumper, Remote keyless entry, Reverse Sensing System, Security system, Speed control, Speed-sensing steering, Split folding rear seat, Steering wheel mounted audio controls, SYNC 3, Tachometer, Telescoping steering wheel, Tilt steering wheel, Traction control, Twin Panel Moonroof, Unique Sport Cloth 40/Console/40 Front-Seats, Variably intermittent wipers, Voice-Activated Touchscreen Navigation, and Voltmeter. Price does not include Tax, Title, License and Service Fees; Price does include: $2,000 - Silverado 1500 w/PDU/PEB Incremental Consumer Cash. Exp. 05/31/2019, $500 - Silverado1500 Crew EXCLUDES LV3 (4.3L V6) Bonus Cash. Exp. 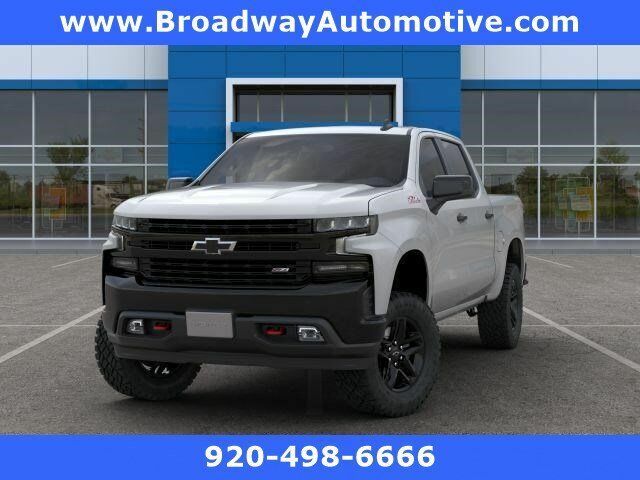 05/31/2019 2019 Chevrolet Silverado 1500 RST 8-Speed Automatic, 4WD, Black Leather. Equipment Group 701A Luxury (Adaptive Cruise Control and Tailgate Step w/Tailgate Lift Assist), Technology Package (Active Park Assist), Trailer Tow Package (Class IV Trailer Hitch Receiver, Higher-Capacity Radiator, Higher-Power Cooling Fans, and Pro Trailer Backup Assist), 10 Speakers, 20" Polished Aluminum Wheels, 3.31 Axle Ratio, 4-Wheel Disc Brakes, ABS brakes, Adjustable pedals, Air Conditioning, Alloy wheels, AM/FM radio: SiriusXM, Auto High-beam Headlights, Auto tilt-away steering wheel, Auto-dimming door mirrors, Auto-dimming Rear-View mirror, Automatic temperature control, Black Unique Multi-Contour Leather Bucket Seats, Blind spot sensor: BLIS warning, Brake assist, Bumpers: body-color, CD player, Compass, Dark Marsala Unique Multi-Contour Leather Bucket Seats, Delay-off headlights, Driver door bin, Driver vanity mirror, Dual front impact airbags, Dual front side impact airbags, Electronic Locking w/3.55 Axle Ratio, Electronic Stability Control, Emergency communication system: SYNC 3 911 Assist, Engine Block Heater, Front anti-roll bar, Front Bucket Seats, Front Center Armrest, Front dual zone A/C, Front fog lights, Front License Plate Bracket, Front reading lights, Front wheel independent suspension, Fully automatic headlights, Garage door transmitter, Genuine wood door panel insert, Heated door mirrors, Heated front seats, Heated rear seats, Heated steering wheel, Illuminated entry, Integrated Trailer Brake Controller, Low tire pressure warning, Memory seat, Navigation System, Occupant sensing airbag, Outside temperature display, Overhead airbag, Overhead console, Panic alarm, Passenger door bin, Passenger vanity mirror, Pedal memory, Power door mirrors, Power driver seat, Power passenger seat, Power steering, Power windows, Radio data system, Radio: B&O Play Premium Audio System, Rain sensing wipers, Rear Parking Sensors, Rear reading lights, Rear seat center armrest, Rear step bumper, Rear window defroster, Remote keyless entry, Security system, Speed control, Speed-sensing steering, Split folding rear seat, Steering wheel memory, Steering wheel mounted audio controls, SYNC 3, Tachometer, Telescoping steering wheel, Tilt steering wheel, Traction control, Trip computer, Turn signal indicator mirrors, Twin Panel Moonroof, Variably intermittent wipers, Ventilated front seats, Voice-Activated Touchscreen Navigation System, and Voltmeter. 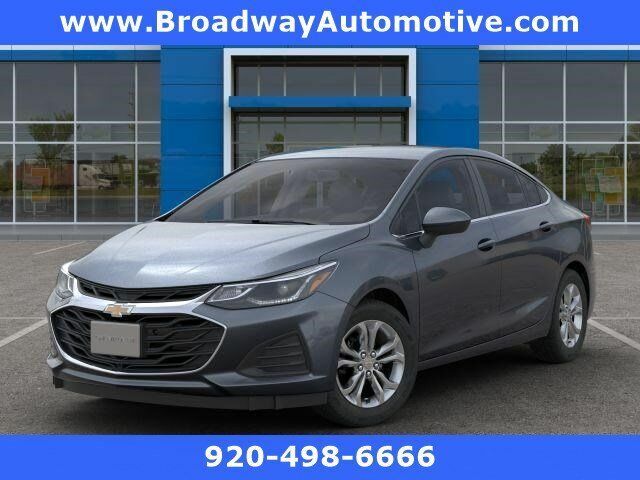 Price does not include Tax, Title, License and Service Fees; Price does include: $2,000 - General Motors Consumer Cash Program. Exp. 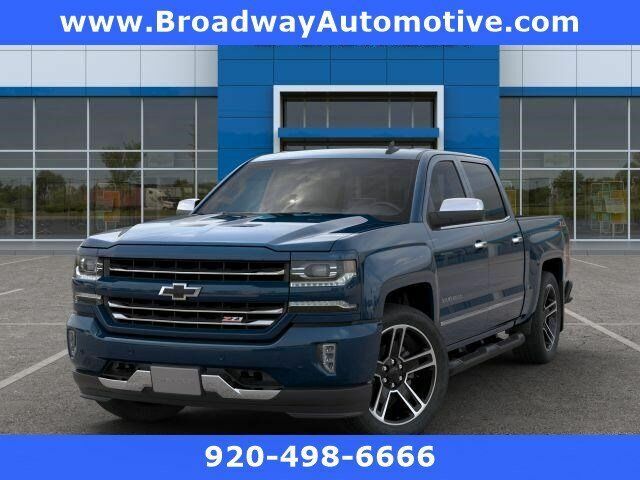 04/30/2019 2018 Chevrolet Silverado 1500 LTZ 8-Speed Automatic, 4WD, Jet Black Leather. Driver Assistance Package (Adaptive Cruise Control, Automatic High Beam Headlamps, Lane-Keeping System, Pre-Collision Assist, and Rain-Sensing Front Wipers), Equipment Group 301A (Panoramic Vista Roof and Voice-Activated Touch-Screen Navigation System), Heavy-Duty Trailer Tow Package (Electronic Limited Slip w/3.73 Axle Ratio, Heavy-Duty Engine Radiator, Integrated Trailer Brake Controller, and Pro Trailer Backup Assist), 12 Speakers, 2nd Row Leather Bucket Seats, 3.31 Axle Ratio, 3rd row seats: split-bench, 4-Wheel Disc Brakes, ABS brakes, Adjustable pedals, Air Conditioning, Alloy wheels, AM/FM radio: SiriusXM, Auto-dimming door mirrors, Auto-dimming Rear-View mirror, Automatic temperature control, Blind spot sensor: Ford Co-Pilot360 - Blind Spot Information System (BLIS) warning, Brake assist, Bumpers: body-color, Compass, Delay-off headlights, Driver door bin, Driver vanity mirror, Dual front impact airbags, Dual front side impact airbags, Electronic Stability Control, Emergency communication system: SYNC 3 911 Assist, Exterior Parking Camera Rear, Four wheel independent suspension, Front anti-roll bar, Front Bucket Seats, Front Center Armrest, Front dual zone A/C, Front fog lights, Front reading lights, Fully automatic headlights, Garage door transmitter, Heated & Cooled Leather Front Bucket Seats, Heated door mirrors, Heated front seats, Heated rear seats, Heated steering wheel, Illuminated entry, Leather steering wheel, License Plate Bracket, Low tire pressure warning, Memory seat, Occupant sensing airbag, Outside temperature display, Overhead airbag, Overhead console, Panic alarm, Passenger door bin, Passenger vanity mirror, Pedal memory, Power door mirrors, Power driver seat, Power Liftgate, Power passenger seat, Power steering, Power windows, Radio data system, Radio: B&O Sound System by Bang & Olufsen, Rear air conditioning, Rear anti-roll bar, Rear audio controls, Rear reading lights, Rear window defroster, Rear window wiper, Reclining 3rd row seat, Remote keyless entry, Roof rack: rails only, Security system, SiriusXM Satellite Radio, Speed control, Speed-sensing steering, Speed-Sensitive Wipers, Split folding rear seat, Steering wheel mounted audio controls, SYNC 3 Communications & Entertainment System, Tachometer, Telescoping steering wheel, Tilt steering wheel, Traction control, Trip computer, Turn signal indicator mirrors, Variably intermittent wipers, Ventilated front seats, and Voltmeter. 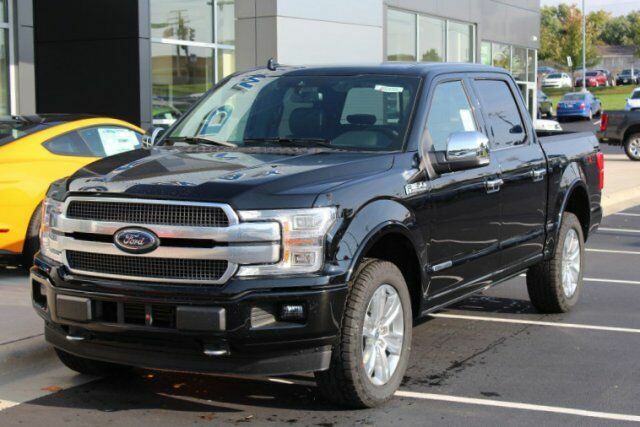 Price does not include Tax, Title, License and Service Fees; Price does include: $500 - Silverado1500 Crew EXCLUDES LV3 (4.3L V6) Bonus Cash. Exp. 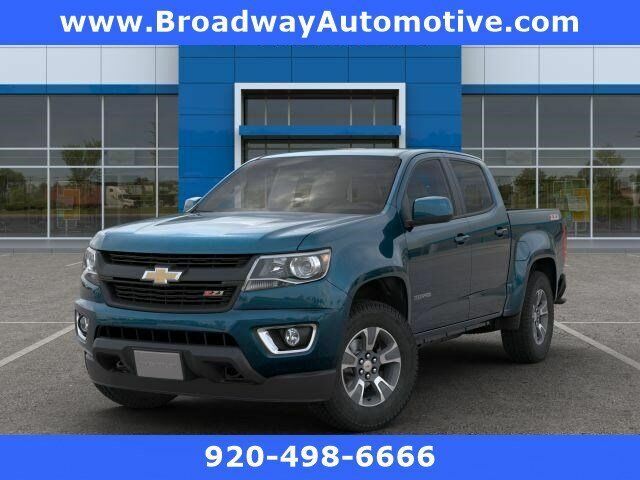 05/31/2019 2019 Chevrolet Silverado 1500 LT 8-Speed Automatic, 4WD, Black Cloth. Price does not include Tax, Title, License and Service Fees; Price does include: $500 - General Motors Consumer Cash Program. Exp. 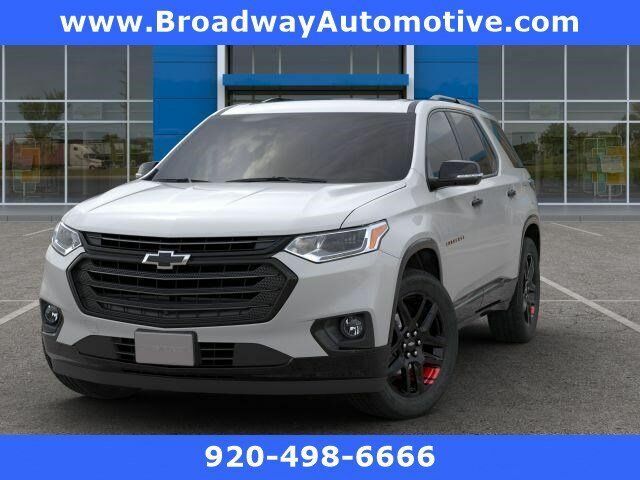 04/30/2019 2019 Chevrolet Traverse Premier AWD. 2019 Chevrolet Suburban Premier 4-Wheel Antilock Disc Brakes, ABS brakes, AM/FM Stereo w/Navigation, Compass, Electronic Stability Control, Fog Lamps, Front dual zone A/C, Heated door mirrors, Heated front seats, Heated rear seats, Illuminated entry, Low tire pressure warning, Power Folding & Adjustable Heated Outside Mirrors, Power Liftgate, Power-Adjustable Accelerator & Brake Pedals, Remote keyless entry, Traction control, Wheels: 20" x 9" Polished-Aluminum.